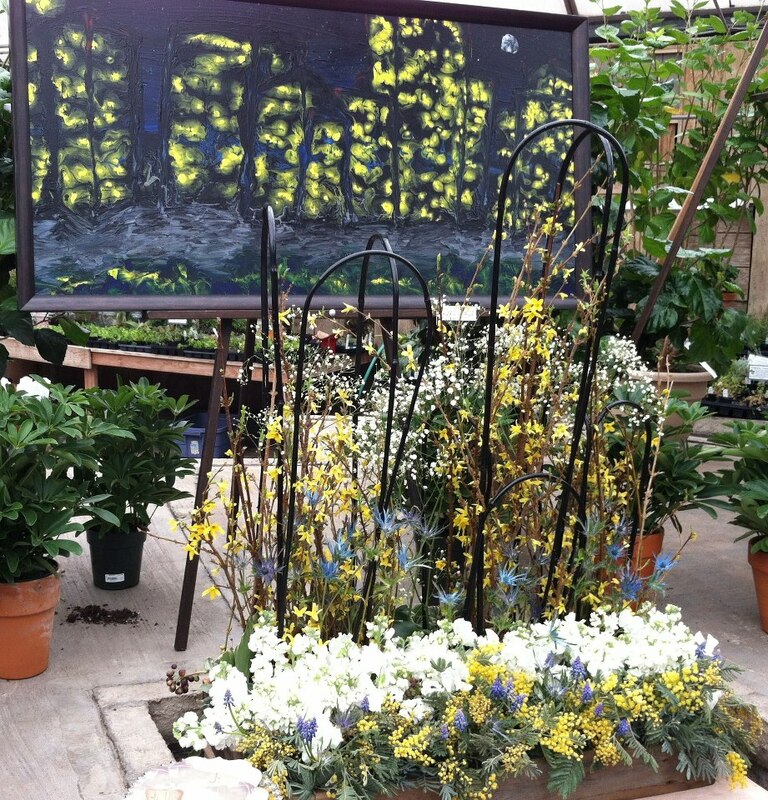 Art in Bloom is an incredible idea... This Event is always a lot of fun, mixed with incredible artists, great fun. Thank you Bath, Mundy, Ria, Nature's Grace Design. 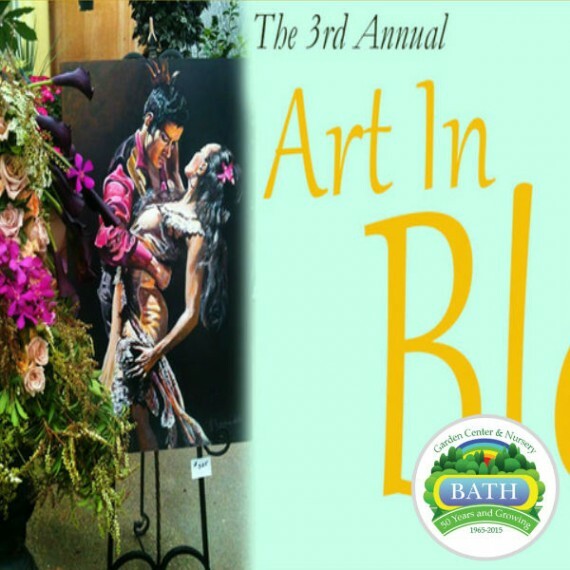 Art in Bloom, an exhibition in which local artists and floral designers show off some of their best works, continues through this weekend at Bath Garden Center. 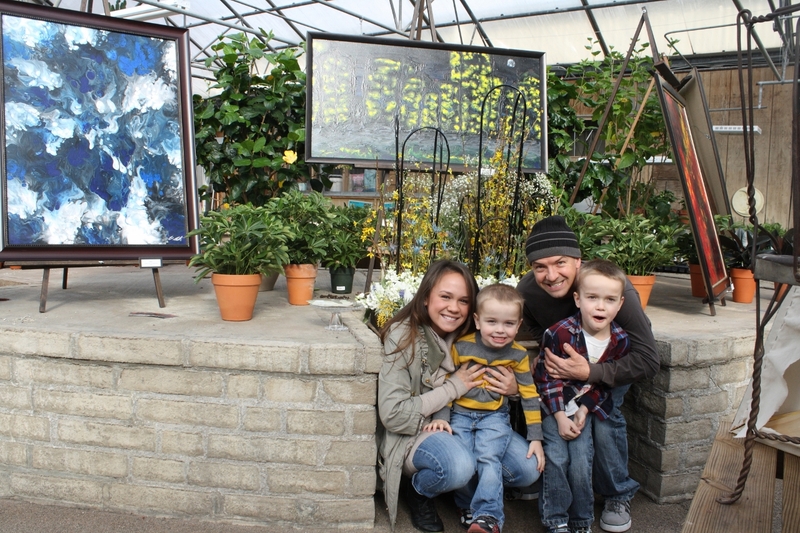 Floral designers include Nature’s Grace Design, Hana Style, Lace and Lilies, Finishing Touches, Florals by Rhonda, Faire Eliza’s Flowers, Jordan’s Floral, Kris Cowell and Marcella Wells. Artists include Gregory Mayse, Kevin Meredith, Amy Walton, Chelsea Glanz, Vicki McCargar, Michelle Heronema, Diane Edwards, Jaime Gastelle, Mary Ellen Nickodermus, Danielle DiFiore, Eric Siebenthal, Melissa Carmon Myers and Trish Murtha.